WASHINGTON (Sputnik) — Russian First Deputy Foreign Minister Vladimir Titov told Sputnik in an interview on Friday that the plans to deploy Patriot systems in Poland are a part of the US strategic intention to surround Russia with missile defense systems "under the pretext of mythical threats to security". 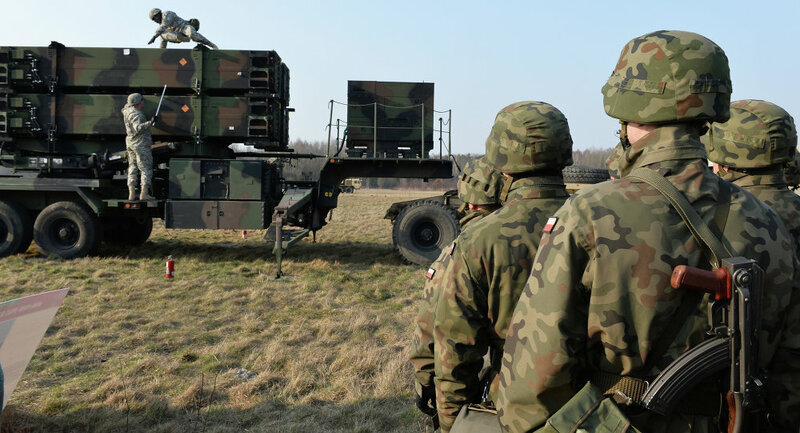 "The State Department has made a determination approving a possible Foreign Military Sale to Poland for an Integrated Air and Missile Defense (IAMD) Battle Command System (IBCS)-enabled Patriot Configuration-3+ with Modernized Sensors … for an estimated cost of $10.5 billion," the US Defense Security Cooperation Agency's release said. The United States had justified the Patriot missiles' deployment by the threat allegedly posed by Iran prior to reaching the nuclear agreement with Tehran in 2015. However, Russia has repeatedly questioned the claim and accused NATO of building up its military presence on Russia’s borders.